An infographic is a representation of information in a graphic format designed to make the data easily understandable at a glance. The process of creating infographics is sometimes referred to as data visualization. Infographics can be print or digital assets, but they can also be assembled into videos. Regardless of the format, the goal is to make informative content engaging and accessible, thereby increasing the likelihood it will be seen, shared, and remembered. Data visualizations are becoming an increasingly popular tool for use in print media, handouts, annual reports, presentations, and social media channels. Most infographics are produced by teams with specialized skill sets. I have experience creating infographic assets independently and collaboratively. With access to a network of skilled collaborators, I can provide engaging infographics for complex projects, or can provide print assets independently for smaller projects with simpler design elements. Click on the contact button below if you’d like to discuss a data visualization need or idea. 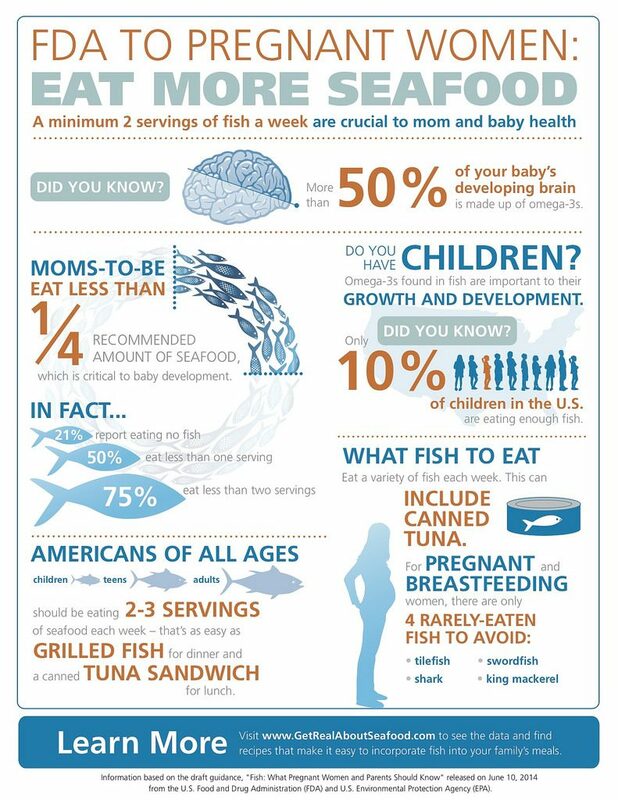 Note: This infographic was produced by the National Fisheries Institute (NFI) and U.S. Food and Drug Administration (FDA), and is being shown for illustrative purposes.